To contribute your own opinion to this exchange of views, please use our Contact form. T.H. 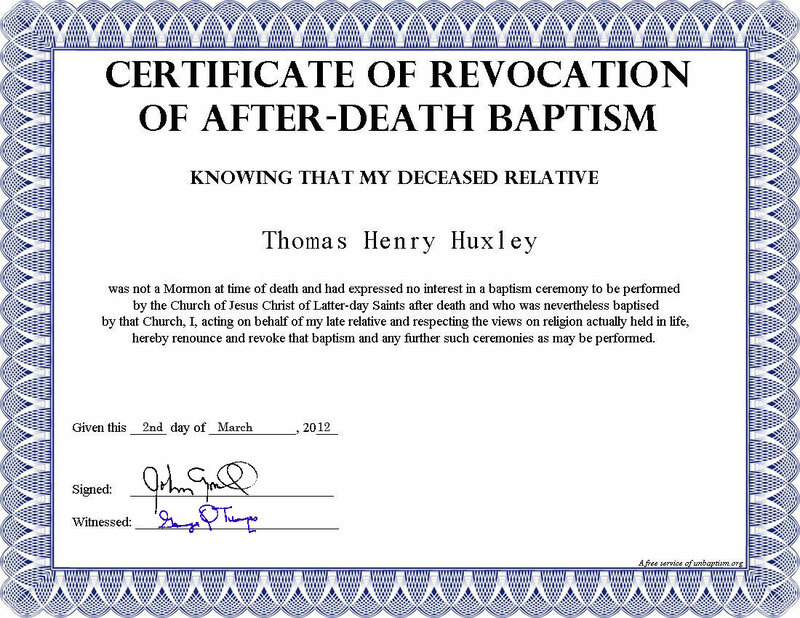 Huxley has been baptised by the LDS Church at least six times. Perhaps they were worried that their earlier efforts did not take as they kept on repeating the ceremony. They may have had good reason for this doubt as the man who coined the word agnostic would not have taken easily to Mormon beliefs. 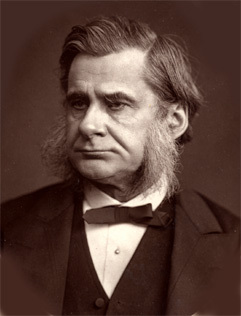 Thomas Henry Huxley (b. 4 May 1825; d. 29 June 1895) was a self-educated intellectual giant of the 19th century, a pioneering genius whose influence was felt throughout the science, education, and politics of Victorian England. His brilliant career ranged from surgeon's apprentice to England's Privy Council, service on 10 royal commissions, and president of the Royal Society from 1881 to 1885. His many awards included the Royal, Copley, and Darwin medals. And still they baptised him at least six times after death. All his LDS baptisms to date are hereby revoked and any future ones the LDS Church may conduct are rendered invalid. Further submissions of Unbaptismal Certificates are welcome.